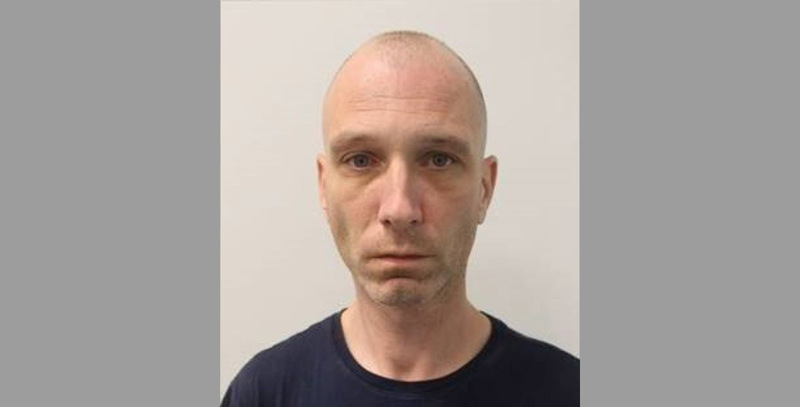 41-year-old Steven Bishop was sentenced yesterday to four years in prison for plotting to blow up the huge mosque in Morden, south London. "Four years?!? If this had been a Muslim he would have got a lot more than four years. Sorry, I think the sentence is totally wrong," tweeted Nick Lowles, who runs Hope not Hate. He wasn't alone in being shocked. A spokesperson for the Muslim Council of Britain said: "There will be deep concern amongst many that this man was given a relatively light sentence even though he was poised to murder people." Bishop had wanted to blow up one of London's biggest mosques, potentially killing hundreds of people. So why wasn't he labelled a 'terrorist' and why wasn't his face all over the media? And why did he get off so lightly? Bishop may be out in a year's time on parole. Steven Bishop became obsessed with the youngest victim of the Manchester Arena bombing in 2017, Saffie-Rose Roussos, and claimed he wanted to take revenge in her name. He started researching bomb-making and collected materials to make a bomb. Police were alerted to his plans after he showed someone a picture of a detonator on his phone and told her of his plans to blow up the south London mosque. Police searched his residence and found fireworks, bomb components and notes on how to make explosives. He told police: "I think it would be justice if someone did to them what they do to us." So why the short sentence? Even though the Crown Prosecution Service had initially charged Steven Bishop with 'preparation of terrorist acts', that was later dropped to a possession of explosives charge. Kingston Crown Court was told that Bishop had 'suffered lifelong psychiatric problems and took medication for conditions including paranoid schizophrenia and personality disorder,' according to The Independent. He had been diagnosed with ADHD and learning difficulties. He was also addicted to crack cocaine. During the sentencing, Judge Lodder QC said: "The seriousness of the offending is reduced by your medical history, but I do not find that your condition at the time of offending was substantially reduced by mental disorder or learning disability." In other words he got some leniency due to his mental condition but not much. But the CPS also thought it would be difficult to prove an ideological motive, since he was largely a mentally disturbed man who wanted revenge for a little girl. Bishop's barrister told the court: "He’s not seeking to obtain a white Britain or a Muslim-free country. He was seeking in his non-functioning manner to exact revenge for the death of an eight-year-old girl and the crown can’t demonstrate an ideological cause." But many think the sentence was still too lenient. The same judge had earlier sentenced Trevor Mulindwa, a Muslim convert who had just come out of a mental institute and tried to go to Somalia to join a terrorist group, to six years in prison. Lord Carlile, the former independent reviewer of terrorism legislation, told the Guardian: "It is one of the lowest sentences for this kind of offence." "I would expect the prosecution would consider appealing this sentence on the grounds that it is unduly lenient. I would be surprised if that was not the view of the Crown Prosecution Service." Of all the major newspapers only The Independent referred to Bishop as a 'terrorist'.